happy canada day & fourth of july weekend!!! in the bowl of the kitchen aid stand mixer fitted with the whisk attachment, whisk egg whites until soft peaks are formed. gradually add sugar, followed by cream of tarter, vanilla extract & cornstarch until egg whites reach stiff peaks. mixture should be smooth & glossy. fold in pistachios carefully, ensuring not to deflate the whites. on a parchment lined baking tray trace out six evenly sized circles (i used a mason jar lid). fill each circle with the meringue & create a small dip in the middle of each. bake for one hour, turn off oven & let the meringues rest in the oven for another hour. 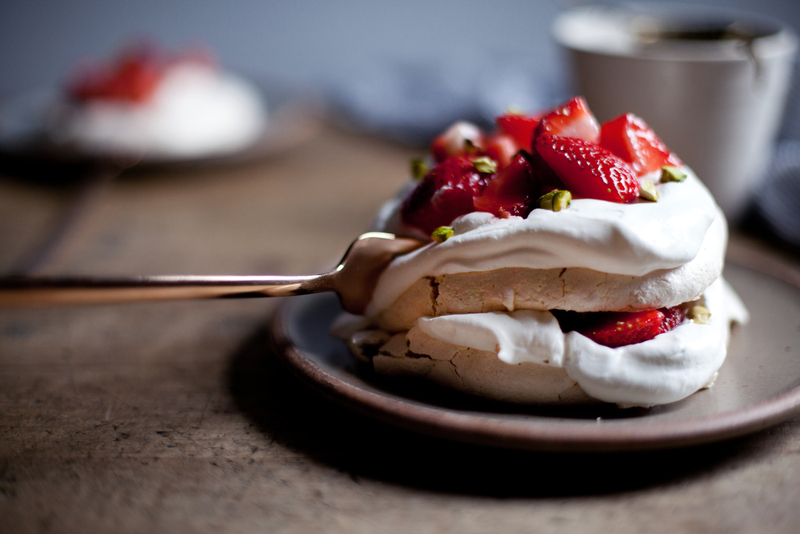 while the pavlova bakes, prepare the strawberry mixture & whipped cream. 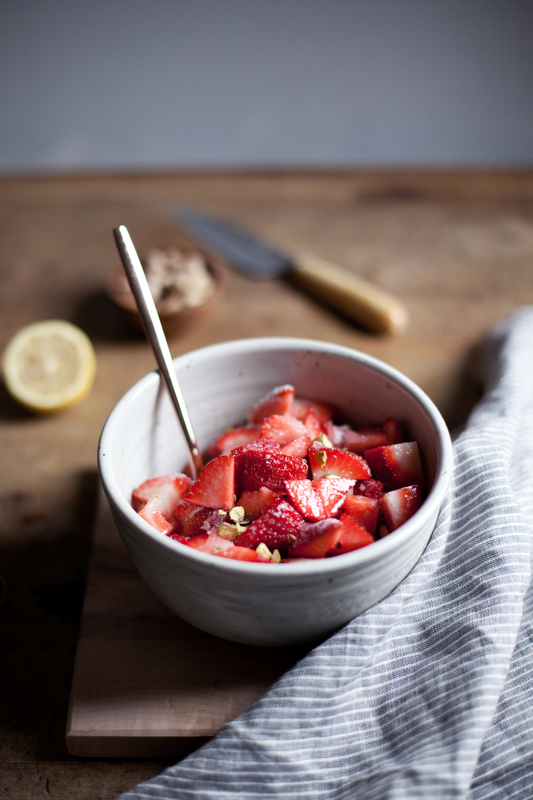 for the strawberry mixture: in a mixing bowl add chopped strawberries, sugar, lemon juice & pistachios. stir & set aside until ready to assemble. 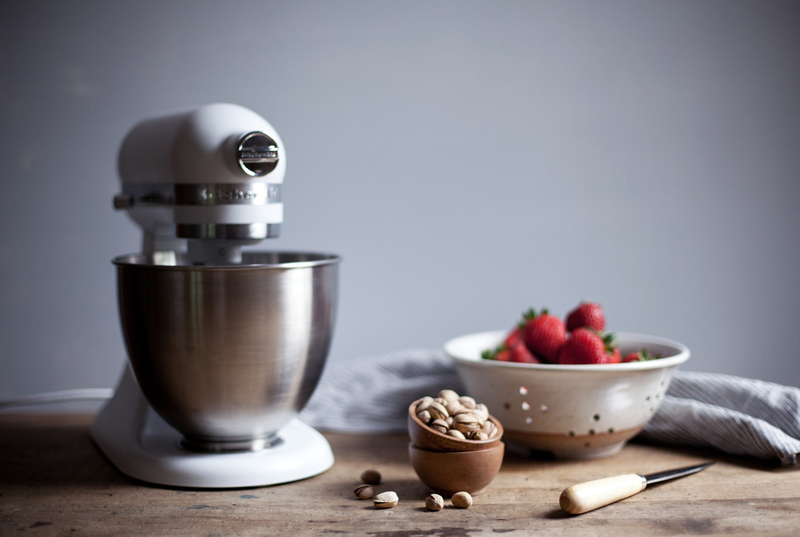 for the whipped cream: in the stand mixer fitted with the whisk attachment add the whipping cream. beat until soft peaks are formed. add the sugar & vanilla, beat until stiff peaks are formed. set aside until ready to assemble. 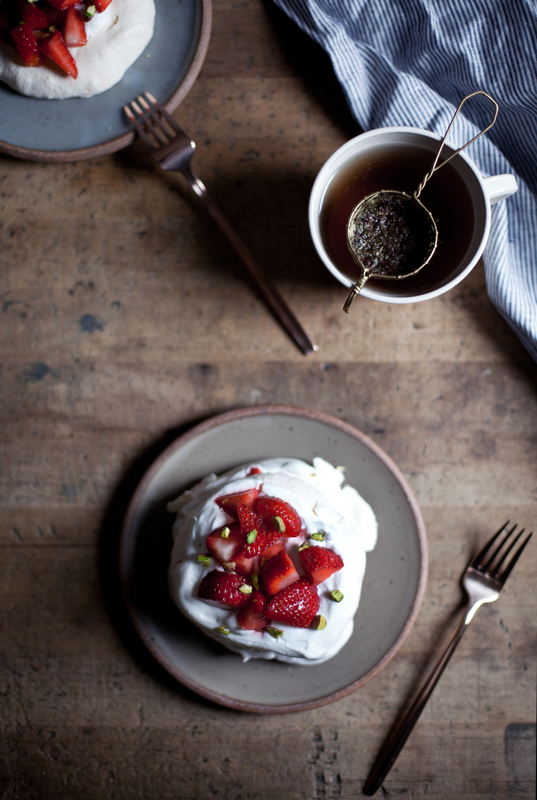 when ready to serve, layer pavlova with whipped cream followed by pistachio strawberry topping. 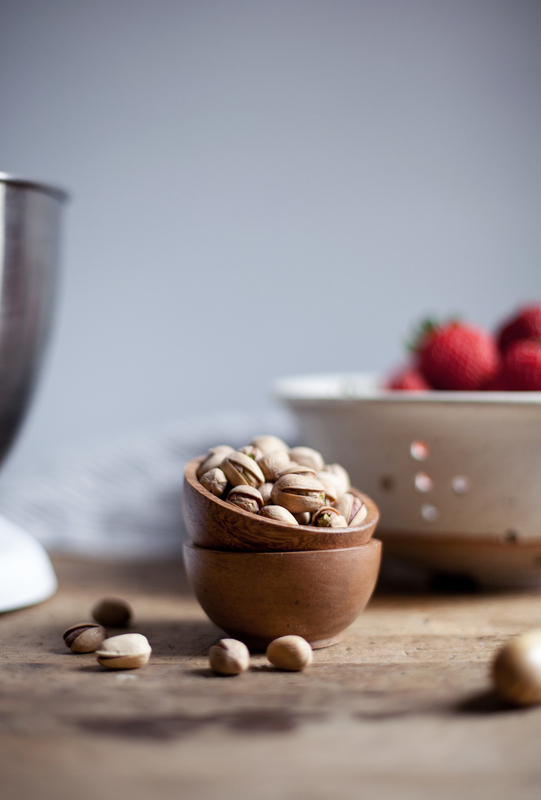 sprinkle with additional pistachios if desired.